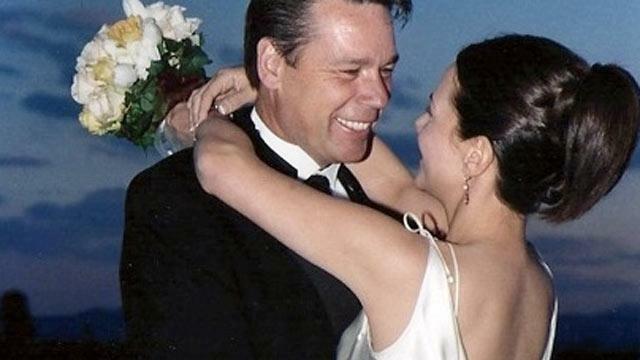 Life seemed nearly perfect for Catherine and John Graves, who married in 2001 and lovingly merged two families that included six children. The couple also joined forces in a masonry business in Phoenix and looked forward to a bright economic and emotional future. But just a few years into their new marriage, John Graves showed signs of having an affair. He seemed to lose interest in his wife, squandered company money and disappeared for hours at night. Catherine Graves, now 45, even hired a private detective. But it wasn't another woman who was the problem -- it was an aggressive and fatal brain tumor that had slowly caused personality changes and eventually killed her husband of only five years. "I faced a harsh reality," she said. "I thought I would be spending the rest of my life with him." Graves said the crumbling marriage and then the exhausting care-giving that followed also caused her to lose her mind, a phenomenon that is all too common when family members are left without support to care for sick and dying loved ones. Graves chronicles her own grief and guilt as a caregiver in her memoir, "Checking Out: An In-Depth Look at Losing Your Mind." "The mental part of it was the hardest," she told ABCNews.com. "I was so depressed, but I couldn't be depressed because it wasn't about me. I was lonely and scared and the person that I knew had vanished." One-third of all American adults are taking care of their ill or disabled relatives and that number is expected to grow. And an estimated 70 percent of all caregivers are women, according to Richard Nix, executive vice president of Aging Care, a website that provides resources and an online community. "The point is caregivers are trying to hold it all together and don't have the time to go to support groups," Nix said. Another study from the American Psychological Association found that caregivers like Graves are more likely to report more stress than the general population and at higher risk for chronic illness themselves. Graves said she stayed strong during the five months she cared for her husband. But after his death in 2007, Graves declined into depression and anxiety and was eventually treated for post-traumatic stress. "First of all, we had a year of a really horrible marriage -- he went from loving me more than anything in the world to seeming like he didn't care about me at all," Graves said. When the private detective turned up nothing nefarious, the couple sought counseling and John was diagnosed with depression. But after he suffered a seizure while in residential treatment, counselors sent him off to a hospital emergency room where a brain scan revealed a virulent glioblastoma, commonly called a glioma. There are more than 120 types of brain tumors, according to the National Brain Tumor Society, and personality changes can accompany a glioma, depending on its location and size in the brain. "It's not typical, but it can happen," said Dr. Dan Barrow, chairman of the department of neurosurgery at Emory University School of Medicine in Atlanta. One of the most infamous cases was Charles Whitman, the so-called Texas Sniper. The University of Texas student killed his wife and mother, then killed 13 others shooting from a tower in Austin in 1966; 33 others were wounded. After an autopsy, doctors revealed he had glioma blastoma. "Indeed, much of his behavior was attributed to that," said Barrow. "It's not rare for people with brain tumors to present, among other things, a personality change," said Barrow. "Sometimes it's subtle and noticed only by loved ones." John Graves' tumor was located in the frontal lobe, which controls personality and emotion -- "the things that make you who you are," according to his wife. His short-term memory had started to fail and "he honestly didn't know where he was and how to get home," she said. "He'd be on the phone and not know who he was talking to. "I thought maybe he was doing drugs and drinking or he was depressed and gambling," she said. Her husband underwent surgery to remove the tumor, but, like a lobotomy, it rendered him emotionless. The steroid medication made him irritable and angry. He suffered repeated seizures. Graves was sent home to care for him, not knowing when he would die. "The doctors said it could go on for a couple of years with no end in sight," she said. "I was so depressed." Her husband's personality remained "flat" and he was incapable of showing appreciation for her efforts and besides her children, few family members or neighbors offered to help. Their business crumbled with the economic downturn and their inability to work. "I didn't leave the house for six months," she said. "I was homebound and had no interaction with other people." Even the medical professionals had little sympathy, she said. "It was so about the patient -- there was nothing for me," she said. "I held together really well," Graves said. "People commented that I was doing such a great job." But after he died, she never dealt with the grief and plunged forward on "autopilot," even dating. Eventually the stress of care-giving hit her. "I crashed," said Graves, who eventually sought counseling and was put in an intensive outpatient treatment program. She was diagnosed with post-traumatic stress and dissociative disorder. "I check out mentally," she said. "On the outside I looked normal, but I was so disconnected and far away. ... I had alienated myself from everyone, even from myself." Care-giving experts like Lynn Feinberg of AARP say that caregiver stress is a "huge issue." "The most important point is that health care professionals don't often help families recognize they are in a care-giving role and need support, not only in caring procedures but also in bereavement," she said. Americans provide an estimated $450 billion in home care for their sick and dying family members, according to Feinberg. "What doesn't exist is a structure to support these folks. They have to find their way in an unconnected network of support at a time when they are most stressed." Graves agrees. Today, she is working with Barrow Neurological Institute, where her husband was treated, to educate health professionals about paying more attention to the needs of caregivers. "This is huge, huge, huge," Graves said. "Caregivers have overwhelming responsibility and not a lot of support." Even today, she is feeling the "aftershocks" of experience, but Graves said seeking therapy and writing her memoir have helped bring her back. "I wanted to have a voice to my story and to help reach out to others who need someone to connect with," she said. "That was the worst part -- feeling so alone." "The longer life goes on, the more I am connecting," Graves said. Their collective children, now aged 16 to 28, are thriving and her stepdaughter is pregnant with the first grandchild. And Graves is back at work, this time as a production assistant in casting. "It's strange -- I was so removed," she said. "But now, I remember the good times." For to learn more about research on caregivers and care-giving go to the AARP Public Policy Institute.